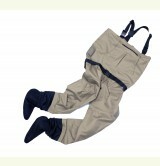 McGREGOR FLY stocking-foot breathable waders offer state-of-the-art durability and comfort. 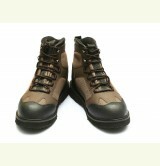 McGREGOR FLY wading boots offer superb quality, durability and exceptional value for money. With their eye-catching looks and robust construction, they afford extra-strong support in the toughest of conditions.